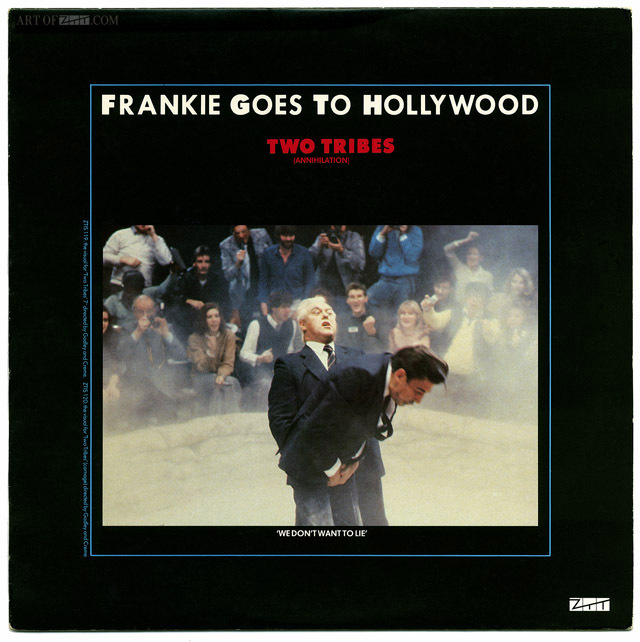 artist: Frankie Goes To Hollywood title: Two Tribes (Carnage) format: US 12″ single design: XLZTT photography: AJ Barratt / Eric Watson illustration: n/a cat. 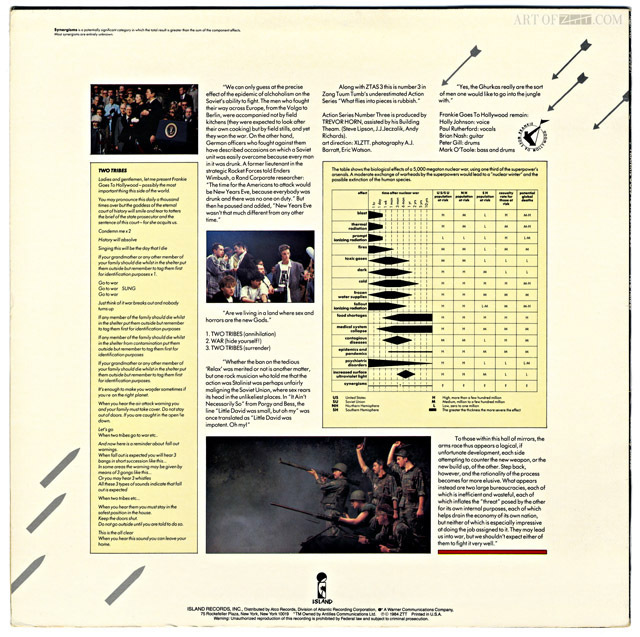 no: 0-96931 date: ?/10/84 art of notes: The US version of ‘Two Tribes’ has a redesigned cover mixing elements of both the ‘Annihilation’ and ‘Carnage’ sleeves plus adding the song’s lyrics and was actually released before ‘Relax’ in the N. America around the time of ‘Welcome To The Pleasuredome’. The front cover states that it’s the ‘Annihilation’ version but the disc plays ‘Carnage’.